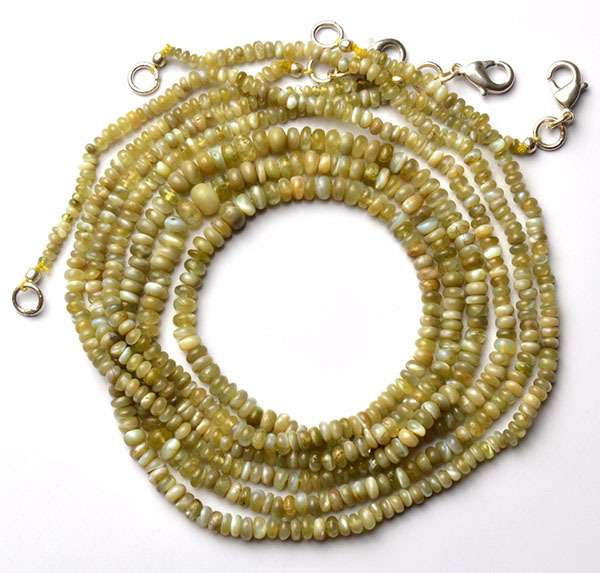 This necklace is composed of Natural Chrysoberyl Cat's Eye in 3-5mm Rondelle Beads. 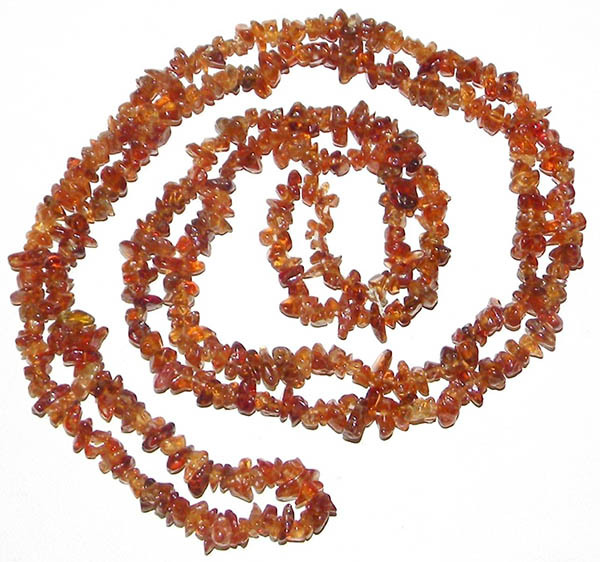 The length is 18", it is 65 to 70 carats in weight. Length including the clasp is about 19 inches. By clicking on the image or add to cart button, you will be taken to our sister site Hearts for Love.com where you may view additional images and purchase your Chrysoberyl Cat's Eye Necklace. Note: The image shows multiple necklaces, the $440 price is for one necklace.